From universities to popular shopping to unparalleled Southwestern-style leisure, the location at The Palms on Scottsdale promises a wide-reaching experience like no other. 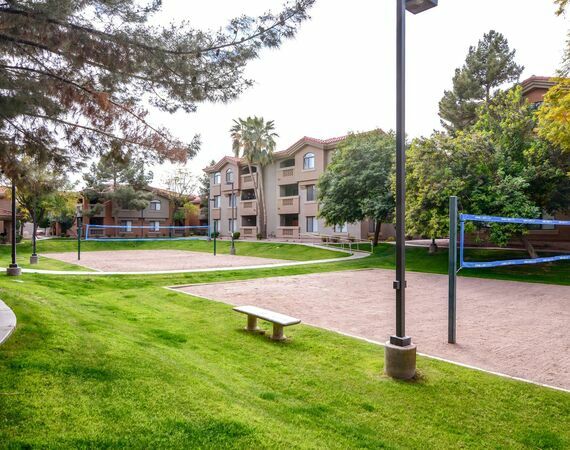 Located just five minutes from both ASU and Old Town Scottsdale, The Palms on Scottsdale offers the best location in the East Valley, with easy access to the rest of Phoenix AZ. Sports fans love being so close to games at Sun Devil Stadium, as well as spring training grounds for MLB teams. If shopping and dining are more your speed, check out the offerings at nearby Tempe Marketplace and Scottsdale Fashion Square. Call today for more info about these apartments and the surroundings areas. On September 29th at Big Surf Waerpark in Tempe, AZ Billy Currington, Thompson Square, and Brown & Gray will be performing from 12-9pm. Have you seen some new smiling faces around the property? Make sure to give a friendly welcome to all of your new neighbors! Last month we welcomed over 50 new residents to the property! We are so excited everyone chose to make The Palms on Scottsdale their new home, Welcome! Who makes the best neighbor? Your friends! Refer a friend for a 12 month lease and receive $200 off one month’s rent! The 9/11 Heroes Run 5k +1M fun run/walk welcomes runners, ruckers, and walkers of all levels and of all ages. Events take place all over the world, on or near September 11th, and are 100% organized by local community volunteers. The perfect opportunity to thank your local veterans, families, and first responders @ Tempe Beach Park. This October on Saturday the 20th we have paired with GAIN and will be having our 5th annual Super Hero Party! This event is held at the large lagoon pool and will be after office hours. Come to the pool and chill poolside while you enjoy burgers and snacks on us! More details to come in the October Newsletter. How can you go green with us? Stop by the office and pick up your very own Palms on Scottsdale reusable bag! Your central heating and AC unit word hard to push air throughout your apartment. By changing filters on a regular basis, you help the unit operate efficiently and effectively. Submit a work order or stop by the front office to pick up an air filter to change it yourself! ~We have some new staff! Make sure to say Hi to Colton, a new maintenance tech, and Ericka who is in the front office to help out with anything you may need. Please remember that if you need Courtesy Patrol, for any reason after hours, you can call them directly at 602-283-4827. Help make our property green! Learn some tips on how to save energy. Pick up some reusable items for your apartment and enjoy some tasty snacks. Where: Front Office We will have Patriotic goodies for all residents to enjoy! Then stop by the office for some free pizza at 5 pm! Come chill poolside while our staff cooks you up some delicious burgers! We will have delicious toppings for you to choose from with all many choices of meet including a vegetarian option. Do you love coffee? Stop by the office and enjoy a cup on us with some tasty donuts!